Tidbits from this week's Famitsu. 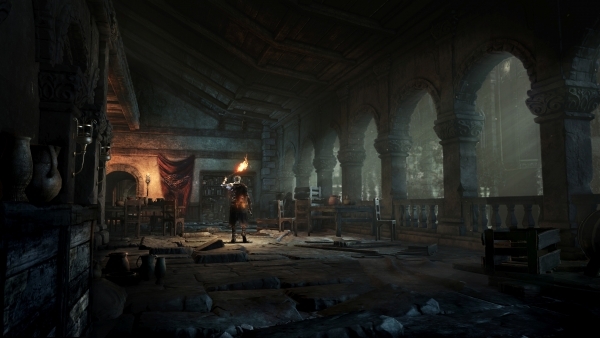 Famitsu this week has an interview with From Software director Hidetaka Miyazaki on the newly announced Dark Souls III, due out in early 2016 for PlayStation 4, Xbox One, and PC. Get the interview tidbits below. What’s the world of Dark Souls III like? Are there any changes to the basic design? “We’ve expanded the character builder and tactical options without sacrificing the feel of the series. We added new action elements that contribute to the sense of role-playing. For instance, we adopted the concept of rapid fire for the short bow, and the animation between rolling and walking has been smoothed out. “The speed of the action is slightly increased compared to the previous two games and balanced so you can move intuitively. I don’t think we’re going to employ the idea of agility, otherwise the action would be stressful until you raise your stats.